In the spring of 2013 I joined the research lab of Dr. Elyn Humphreys at Carleton University. Dr. Humphreys may be known to some OFNC members for her guided walks of Mer Bleue Bog. 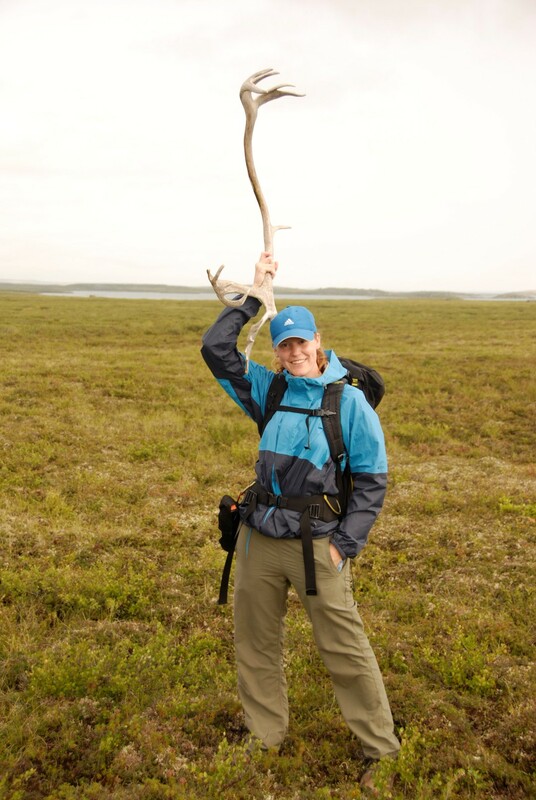 I was enticed to join the lab because of a unique opportunity to do field research in the Northwest Territories. Our research program is focused on soil-plant-atmosphere interactions. Specifically, I use remote sensing technologies to investigate carbon exchange between the biosphere, the regions of the earth’s surface occupied by living organisms, and the atmosphere over large spatial scales. Remote sensing instruments collect data on the electromagnetic energy that has been reflected from earth. These sensors are typically mounted on satellites or aircraft, but similar handheld sensors have been designed for field use as well. The Daring Lake Tundra Ecosystem Research Station. 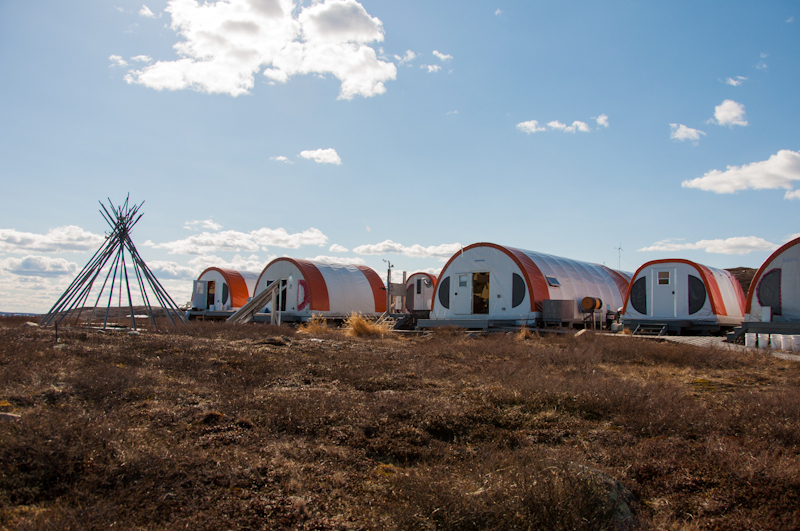 Currently I am living at the Daring Lake Tundra Ecosystem Research Station at Daring Lake NWT (64º 52’ N, 111º 35’ W). This region of the Canadian Low Arctic is called the Barrenlands by the local people, in reference to the lack of tall vegetation. 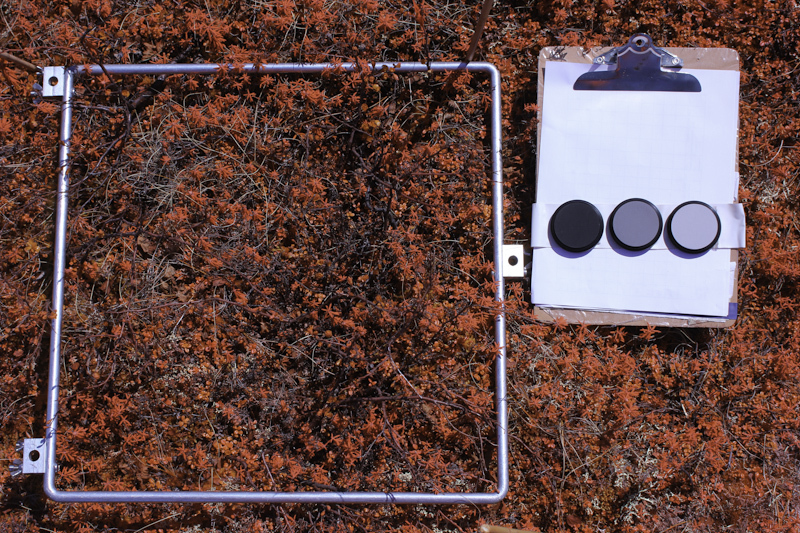 I am here to assess the carbon source/sink status of this tundra ecosystem and to understand the biotic (e.g., vegetation, soil microbial communities) and abiotic (e.g., permafrost) controls on carbon exchange in the Canadian Low Arctic. Understanding the impacts of factors such as climate change will allow for better management of traditional lands and resources. Photosynthesizing plants have high reflectance in the near-infrared (NIR) portion of the electromagnetic spectrum. The NIR band is loaded in the red channel of the image. 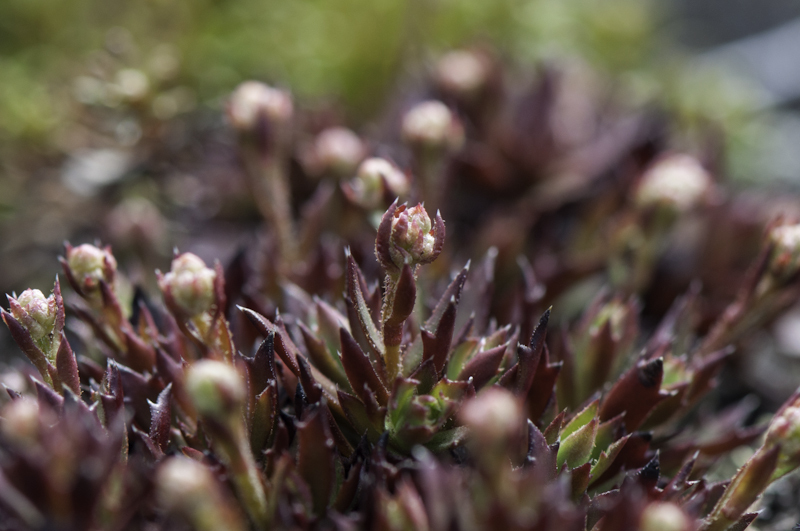 Prickly Saxifrage (Saxifraga tricuspidata). This plant grows really well on the nutrient poor eskers. For example, I will relate the seasonal trend in the productivity of my vegetation plots to a time series of the net ecosystem exchange of carbon to help quantify the biotic controls on carbon exchange. This will provide me with a better understanding of how the spatial structure of tundra vegetation communities relates to local carbon exchange processes. In the final step of my project, the relationships observed from the field data will be used to develop satellite measurements of vegetation productivity and carbon exchange metrics. Aside from my research, I also enjoy a fantastic array of wildlife and plants in the area. Each morning I wake to the calls of the Yellow-billed Loons (Gavia adamsii), that breed on our lake. Throughout the day I see some of my other favourite tundra bird species, including the Harris’s sparrow (Zonotrichia querula), Red-necked Phalarope (Phalaropus lobatus), and Rough-legged Hawk (Buteo lagopus). There are plenty of mammals to watch for as well. Recently I watched a very bold red fox chase a wolverine up and over the esker behind our camp. On a slightly less dramatic note, I can see grizzly bears, arctic wolves, Bathurst caribou, and other northern species go about their daily routines during my time here on the tundra. This is a fantastic region of Canada to explore. I encourage everyone to visit the far north sometime in their life. Two caribou bulls from the Bathurst caribou herd. A mountain fritillary poses on a patch of cranberry (Vaccinium vitis idaea) and Ledum (Rhododendron subarcticum). Yellow-billed Loon. Multiple pairs breed in the Daring Lake region, along with Red-throated Loons (Gavia stellata) and Pacific Loons (Gavia pacifica). *Photo taken while working with an ornithologist. For more information on Arctic research and photos of Arctic wildlife follow Claire’s blog, “A Walk through the Woods”. All plant/wildlife photos taken by Claire Elliott.